A man has admitted killing an 81-year-old woman who died weeks after she was attacked in a street. 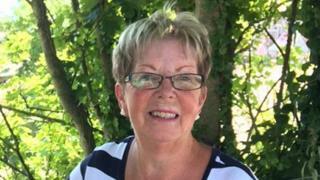 Lesley Davies suffered head injuries in the attack in her home town of Par, Cornwall, on 19 July and died in hospital on 4 August. Brian Downie, aged 69, from Par, was charged with murder but the prosecution at Truro Crown Court accepted a plea of manslaughter after reading a medical report. He will be sentenced on 5 April.